Persona with Xandria in Origins Fest! 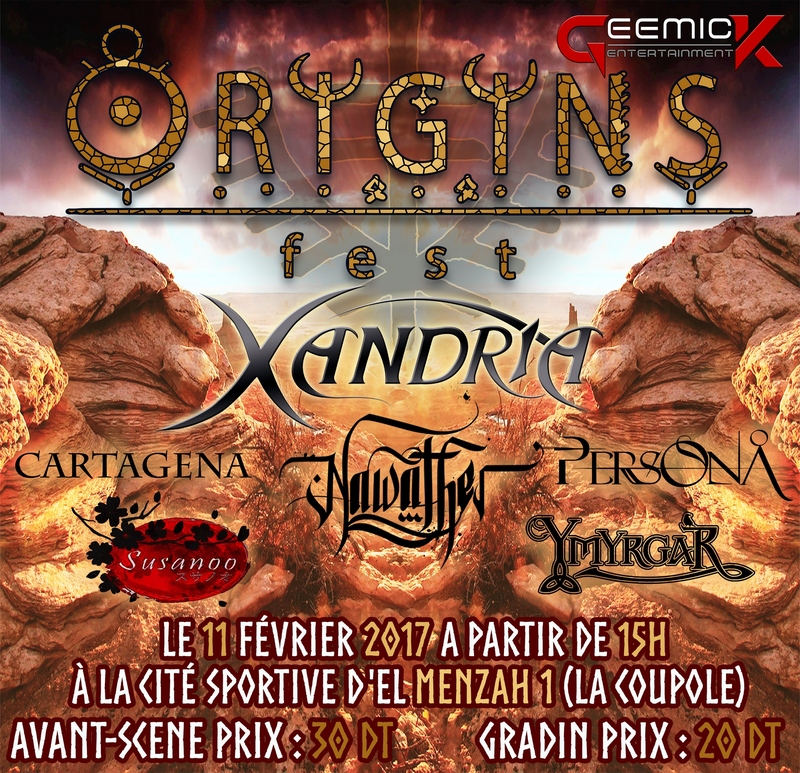 We are very excited and proud to announce that Persona will have the honor to share the stage with the fantastic Xandria, on February 11th 2017 in Origins Fest in Tunisia! Besides us, there will be other excellent local bands, Cartagena, Ymyrgar, Nawather and Susanoo! We hope you're excited as we are! See you all in Origins Fest!